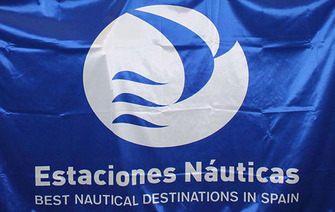 The nautical office l’Estartit-Medes Islands has received the flag that certifies the municipality as “Excellent Nautical Destination”. The award gives recognition to the attached services (rentals, hotels, campgrounds, restaurants, etc). The handover took place within the framework of the International Tourism Fair (FITUR-2015) held in Madrid on January 29. With this flag rubs l’Estartit is consolidated as a destination for excellent qualities for practicing water sports and activities. The event was held at the Chamber of Commerce of Spain and was chaired by the President of the Spanish Association of Marine Resorts, Joan Campolier, and the General Manager of Tourism Development and Sustainability, Tatiana Maria Martinez.